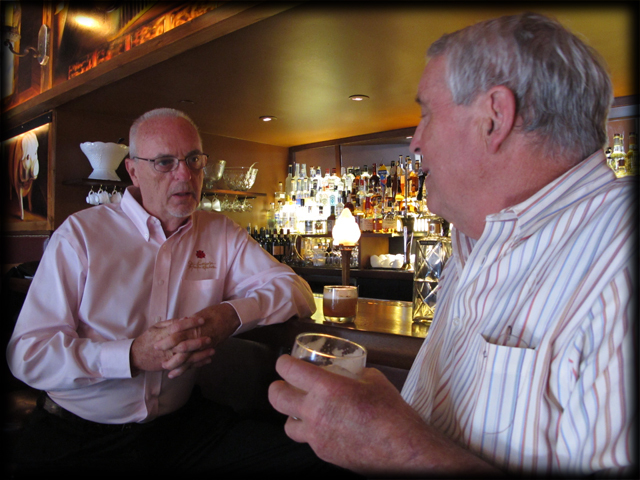 Last week I had the pleasure and privilege of meeting Jim Rutledge, the Master Distiller from Four Roses at a luncheon arranged for the local press by Laura Baddish of The Baddish Group. Also present were representatives from Kentfield Marketing Group including Meryl Cawn and Kurt Charles. 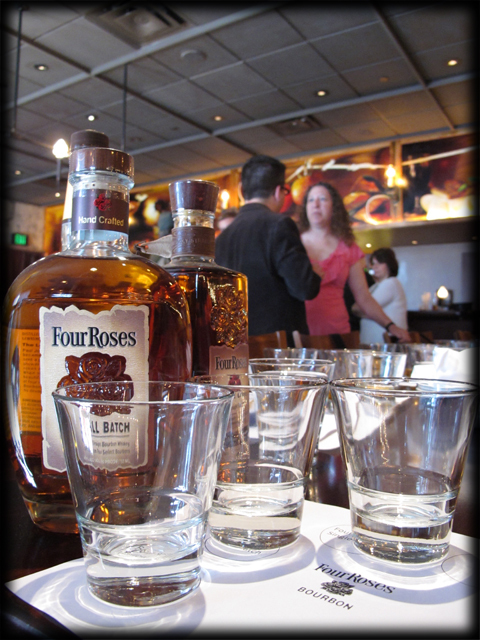 Kentfield does marketing and on-premise sales for Four Roses in the greater SF Bay area. We gathered at Zero Zero in San Francisco for the occasion. Jim Rutledge has been in the spirits business for over 43 years. 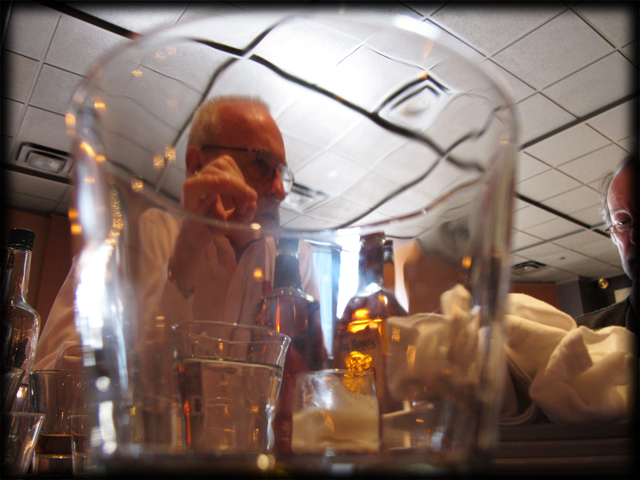 He started work with Seagram’s in 1966 when they owned the Four Roses brand. He held a variety of positions within the company but ultimately transferred to the Four Roses distillery in 1992. In 1995 he was named Master Distiller, a title he’s held ever since. 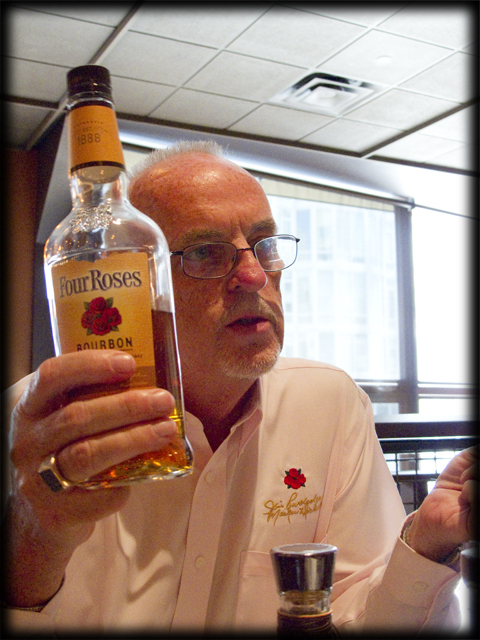 Jim’s predecessors at Four Roses include Ova Hanye and Charlie Beam (who retired in 1994). Jim’s won an array of awards for his work including membership in the Bourbon Hall of Fame and Malt Advocate’s Lifetime Achievement Award in 2007. In 2001, a controlling interest in Seagram’s was purchased by Vivendi, who was after the company’s entertainment holdings. Vivendi then sold off its interest in the drink business, a part of which was acquired by Diageo. Diageo eventually divested itself of the Four Roses distillery which was then purchased by the Japanese beer brewing company Kirin. Kirin had been the distributor for Four Roses bourbon (not the blended whiskey) in Japan and wanted to continue selling it there. [*] Kirin also agreed it was time to re-launch the brand here in the United States. According to Jim Rutledge, shortly thereafter the distillery purchased all the remaining stocks of the blended product and had it destroyed. (Wow!) The single barrel bottling was then released in the US as a way of building the brand back up. [*] — Following all of this? The history of Four Roses is nothing if not complicated. I have done my best to simplify it. A much more detailed, though perhaps no less confusing account, can be found here. I had already known that much of what makes the Four Roses product distinct involved two mash bills (including a high-rye of 35%) and the use of five distinct yeast strains. 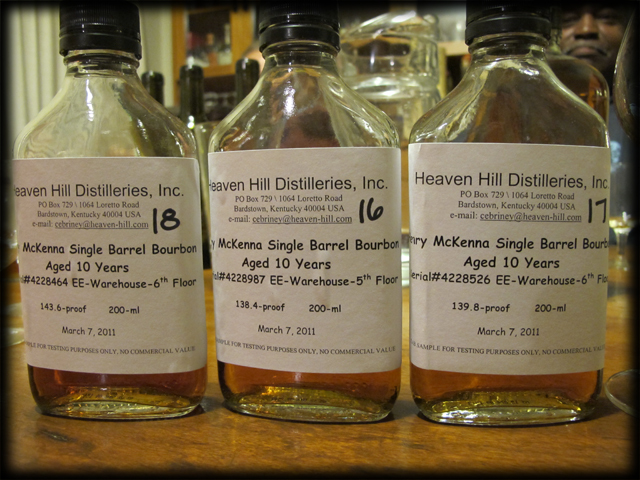 The results are 10 distinct bourbons out of which the various bottlings are then derived. These were details which Jim reiterated to the group. There is simply no other distillery working in this manner today making Four Roses a truly distinctive product. News to me was the use of multiple single-story rack warehouses (AKA rick houses) in which the product is aged. These are unique in the Bourbon industry. There are 20 warehouse at the distillery; each is about 40,000 square feet in size (that’s close to one acre each) and holds over 24,000 barrels. The storage racks inside are six barrels high. According to Jim, there are two distinct advantages to all of this. First, the single story design results in only a six degree difference in temperature between the racks at the top and bottom of the warehouse. This means all the barrels age more or less evenly regardless of where they are positioned. This more or less obviates the need to rotate barrels through the floors over time, a practice which Jim asserts no one follows any more anyway. [*] I also learned that in general warehouses are neither temperature nor humidity controlled. Thus the environment inside is dependent on outside conditions and under goes seasonal variations. Second, it means that in the event of a fire (such things happen), not all of the stock will be threatened. In fact, each year’s ‘make’ is distributed between all of the warehouses so that a fire in one would not have the effect of ‘wiping out’ a given vintage. [*] — In multi-story warehouses the temperature differential between the top and bottom floors can be quite extreme. 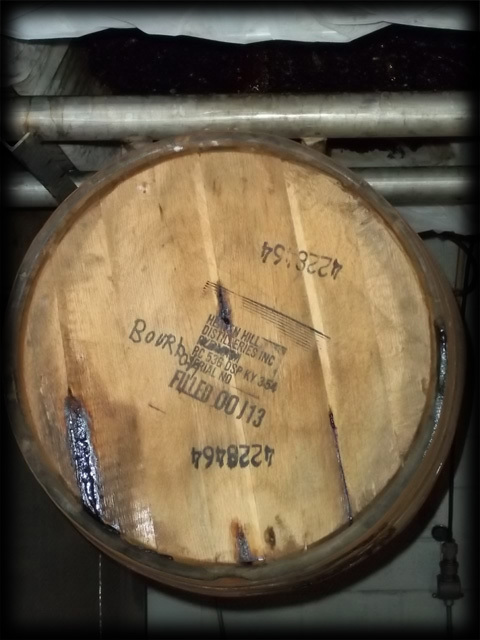 Traditionally barrels were rotated between floors during aging to ‘average out’ the effects of temperature or to heighten the same in a set of barrels by choosing to not rotate them. While Jim was doing all this talking, we were encouraged to start tasting the five whiskeys which had been poured for us: three regular selections and two unaged (“white dog”) samples poured to show the effect of the different yeasts on the flavor. The three regular selections were the Yellow (made from a blend of all 10 bourbon recipes), the small batch (a blend of two recipes), and the single barrel (a single recipe based on the high-rye mash bill, bottled at 100 proof). All were quite delicious. I was most impressed by the ‘yellow label’ which I hadn’t bothered to taste critically before. It had a nice roundness and a goodly dollop of sweetness. However, at 40% alcohol it seems likely to get lost in many cocktails. I only wish it were a higher proof product. 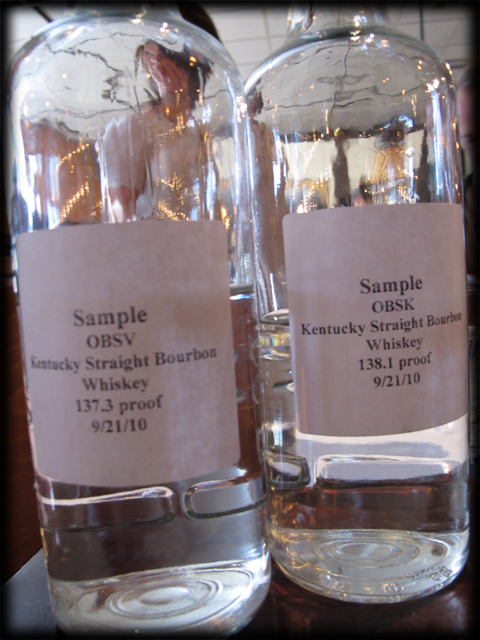 Two additional “white dog” samples were poured to show the effect of the yeast used. Both used the same mash bill (the high-rye) and were more or less the same proof, about 138, just as they came off the still. The difference in nose and flavor was frankly quite astonishing. Where one was restrained the other was effusive and floral, totally changing the sensation of ‘heat’ on the palate. Jim told us that it’s equally illuminating to taste new make whiskey using the same yeast but where the mash bill varies. I am sorry we didn’t get a chance to have that experience. Over the last year or so I’ve had the occasion to meet Master Distillers from Heaven Hill, Buffalo Trace and now Four Roses. In the heads of these men (and yes, for the moment, this seems to be pretty much a white male dominated game) resides the bulk of wisdom on the making of American barrel aged spirits. And while small production (AKA artisanal) craft spirits are becoming something of a hot product category, it feels like distillers at these much newer ventures will be playing catch up with their more senior counterparts for a while. Certainly large established distilleries have a fiscal advantage that most small start up distilleries don’t share in the form of a pipeline of product that’s ready for market every year. But they also have something else: a long history of making reliable and consistent product and the domain expertise on how to do that passed from distiller to distiller. [*] The value of lineage and wisdom passed on between generations cannot be underestimated. [*] – And in all fairness, the small distiller has the advantage of being able to experiment, bringing possibly novel products to market more quickly, and without risking an established brand. The past few months have seen a plethora of new products on the market. Some have been long anticipated, like Crème Yvette from Ron Cooper or Cocchi Americano, the Kina Lillet surrogate which has now been re-introduced in the U.S. by Eric Seed and Haus Alpenz. 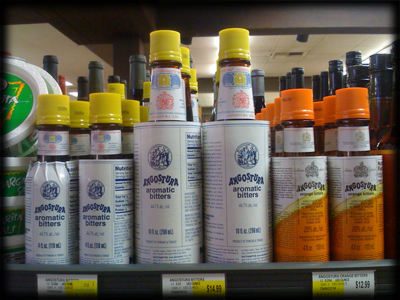 There’s also Gran Classico bitter, from Tempus Fugit, which provides us with an alternative to Campari without the food coloring, and Amaro Montenegro, absent for several years from US shelves after its importer was bought by Frexinet. Still to come is Maker’s 46, just barely creeping into some markets (or so I hear), a new (clear!) violet liqueur from Tempus Fugit, plus whatever surprises might await us in New Orleans. (I know of at least one!) Frankly, I expect to be playing catch up for the rest of the summer. Last week I bought a bottle of Gran Classico which has started showing up on the shelves of liquors stores and bars all over town. I sampled it last year during SF Cocktail Week, first neat and then in the form of a Negroni, made with Voyager gin and Carpano Antica Formula vermouth. That cocktail was amazing and, well, it set a standard for what a Negroni could (and should) be. I’d been craving a chance to have another ever since. There is going to be a tendency for people in the cocktail business who stress the importance of natural flavors and traditional (non-industrial) processes to simply embrace Gran Classico (which contains no added colorants) as a de-facto replacement for Campari (a product made on a much vaster scale). However, in the interest of fairness and for my own education, I thought a little A-B comparison would be in order. I would normally do a comparison between spirits blind but the difference in color between the Gran Classico and Campari is so startling as to make such precautions pointless: the Gran Classico is medium-amber in color while the Campari is intensely red. (For some reason it made me think of red M&Ms, the color of which is definitely NOT natural.) The Gran Classico is also far more viscous and syrupy in appearance than Campari and the nose is less intensely bitter, more muted. Campari, I now realize, really smells bitter and dusty! I dunno: that could be a good thing when it comes to mixing with it. 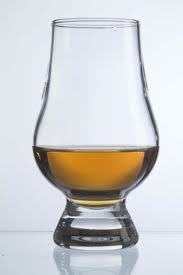 The viscosity I detected in the glass follows straight through into the mouthfeel of the Gran Classico. 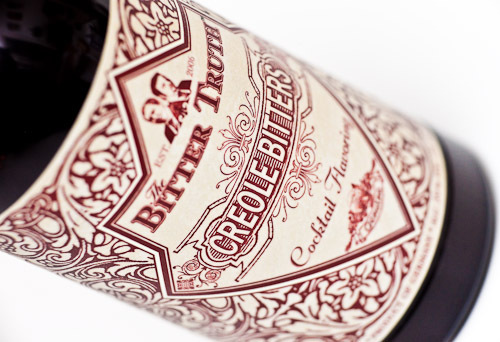 There are several layers to the flavor including bright vanilla notes, marmalade and wormwood. Surprisingly, it finishes pretty sweet. The Campari also leaves you with a sugary finish, but its flavor is far less complex overall, dare I say unidimensional. Which do I prefer? Oh, the Gran Classico is a far more attractive and nuanced product. It would seem to be a better starting place for any cocktail that calls for Campari and probably Aperol. My only lingering doubt is whether, by the time it’s mixed with other ingredients, its superior attributes will still stand out. That’s something that’s going to merit some more investigation. The same day I obtained the Gran Classico, I also purchased a bottle of the Bortolo Nardini amaro, inspired by an upcoming seminar on bitter spirits at Tales of the Cocktail (A Shot of the Black Stuff). I had tried a number of the Nardini products before: the lemony, if somewhat sweet, Acqua di Cedro and the almost indescribable Tagliatella. But not the amaro. I am so glad I did! Much as I LOVE the Amaro Montenegro (which is like drinking flowers), the Nardini set my new standard for what an amaro could be: layers of licorice, vanilla, orange peel, cola, and a hint of lavender. Together with these two new lovely purchases, I gathered my bottle of Carpano Antica Formula vermouth and my bottle of Beefeater 24 (generously gifted to me by the folks at Pernod-Ricard) and set myself to the task of making some cocktails. Stir over ice for 30 seconds. Garnish with a long thin lemon peel strip, tied into a knot. As delicious as I remember it! Gran Classico bitter has won a permanent place in my home bar. You’ll note however, that I swapped Beefeater 24 for the Voyager gin. After some consideration, I felt that the Voyager, with its citrus peel/sweet tea nose and soft finish, would be lost under all the vermouth and bitter. B24, lemony and creamy in the nose as it is, is still a juniper-forward product that asserts itself more intensely on the palate. I felt it would balance better against the other ingredients. Now, do you recall I mentioned that the Gran Classico was pretty syrupy and had a distinct sugary finish? Well, I definitely saw that play through into the Negroni as made using the traditional proportions above. I’ve seen the exact same thing with Negronis made with Campari. 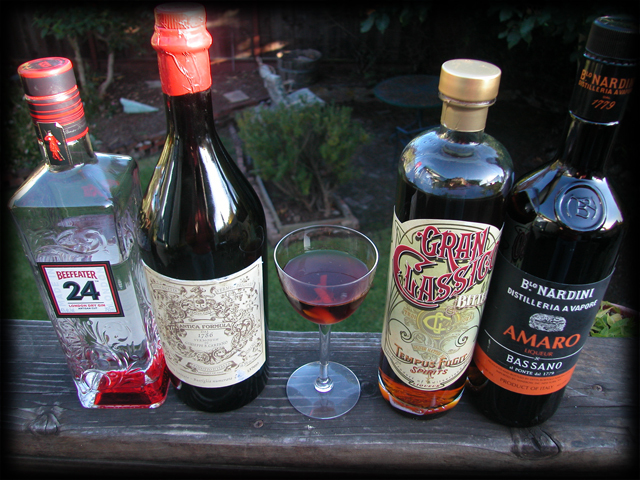 For this reason many bartenders cut back the proportions of the vermouth and bitters, to dry the cocktail out. I suppose this reflects as much on the modern cocktail palate as anything else. The Negroni recipe on the back of the Gran Classico bottle makes just such an adjustment. Recently I’ve even had a Negroni made with Dolin blanc in place of the sweet vermouth, an accident best as I can tell. That becomes a different cocktail all together, quite enjoyable in it’s own way, like most everything else made with Dolin blanc! At this point, the Negroni has been pretty well transformed into something new. The amaro lends distinct dark notes to the mixture, in particular the flavor of sweet licorice (not to be ever confused with anise), but is itself now tamed by being paired with gin and vermouth. Damn satisfying. OK, I better stop here or I’m never going to finish this ambling blog post. Salute! Last week I had the pleasure of making the acquaintance of Stephan Berg and Alexander Hauck from The Bitter Truth in Germany, who were visiting San Francisco as part of a nationwide promotion tour. Folks in the cocktail scene will be quite familiar with their outstanding and up until recently hard to find line of cocktail bitters. Stephan and Alex have recently completed a distribution deal with Domaine Select Wine Estates which means their products will now be more widely and consistently available in the US. The first shipments destined for stores on the west coast are now arriving. I met up with Stephan and Alex at Cask last Thursday afternoon and then again the following evening at Bourbon & Branch where they were guest bartending in Russell’s Room. Here are a few notes from those meetings. Unsurprisingly, both Stephan and Alexander started out as bartenders. 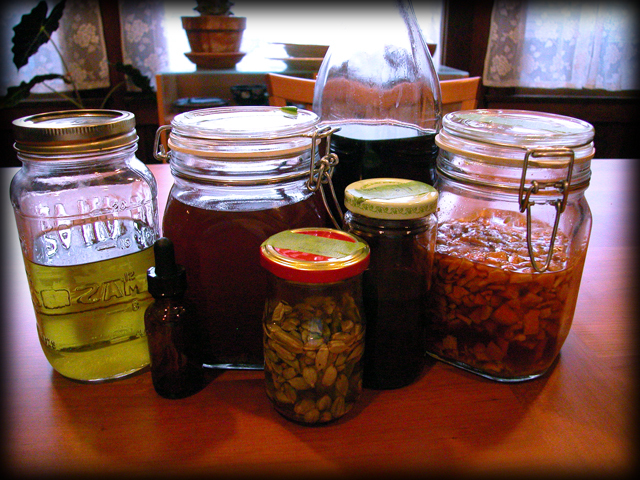 Stephan began his work making bitters while still working behind the stick, partially in response to the lack of product available outside of the United States. (Aside: This conversation made me quite aware of how, in many ways, we here in the US take our access to cocktail bitters, commercial and artisanal, somewhat for granted. The world looks quite a bit different across the Atlantic and the Pacific.) When Stephan met Alexander in the final rounds of a big cocktail competition, the idea of The Bitter Truth was formed. Their first products were an orange bitters and an “Old Time” aromatic bitters (somewhat ala Angostura). Bottles of TBT products have been showing up sporadically in the US for the past three or so years when they were brought back from Germany by visiting cocktailans or when purchased directly via the TBT web store. In some cases these web purchases were made by liquor stores, such as Cask in San Francisco, who then marked them up and resold them. Regardless of how the product found its way here, it was hard to come by and dear. Last year TBT announced that they would be producing bitters from recipes created by Avery Glasser of Bittermen’s. Glasser had tried to make a go of having his cult products, a grapefruit and a chocolate bitters, made here in the US but ultimately decided on a deal with TBT. That was good news and bad news for us here in the US. Good because these great bitters would now be commercially available and bad because they’d have to be brought in from Germany, priced in Euros. The entire landscape changed in the fall of 2009 when TBT announced a US distribution deal with Domain Select. Both the original TBT product line and the Bittermen’s would be available commencing in early 2010. Today, TBT bitters are more expensive than pretty much anything else on the market. Stephan feels his price is reasonable given the quality and complexity of the product and it will ensure he doesn’t wind up going bankrupt. Folks who’ve been following this story for a while should also note that the bottle being sold in the US contains an additional 50 ml. more than the original bottles. We should also start to see the sloe gin, a product that’s been available in Germany for a while, sometime before the end of the year. Looking down the road, Stephan thinks he may make a Boker’s bitters. He says he has an old bottle from the beginning of the 20th century to use for reference. The recipe will be a little different than original because that used Virgina Snakeroot (which is both poisonous and apparently endangered). He says he already knows how to work around that. He would like to package this in a custom made bottle with a period style label. Like most folks, I think it’s pretty outrageous (though not completely unexpected, I suppose). The Northern CA chapter of the United States Bar Guild (USBG) has already mobilized to fight this as it affects at least half the bars in the city, to say nothing of the rest of the state. I’m hoping to find out what I can do to help and will share that information as it comes my way.